We make VHS videos from VHS, Super-VHS and Betacam SP videos. We can also provide exact length tapes for your video production. 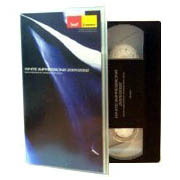 What VHS Video products does ADIVAN offer?